Huulk brings a unique combination of DIGITAL TOKEN, STOCK, and COMMODITY trading on one platform. 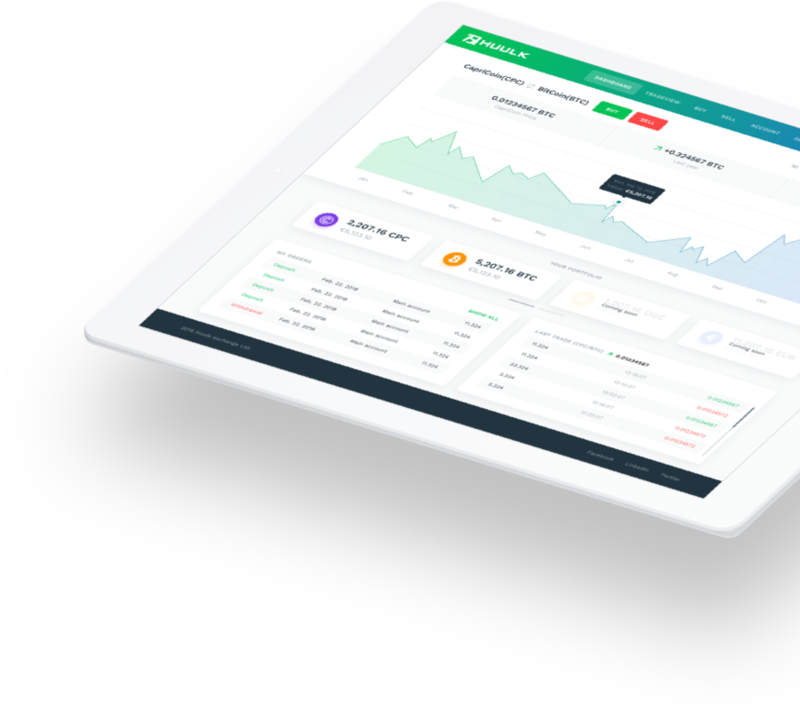 Follow manifold trading strategies from simple asset exchange up to scalping trading strategies and Huulk will guard your funds using the most powerful security tools. 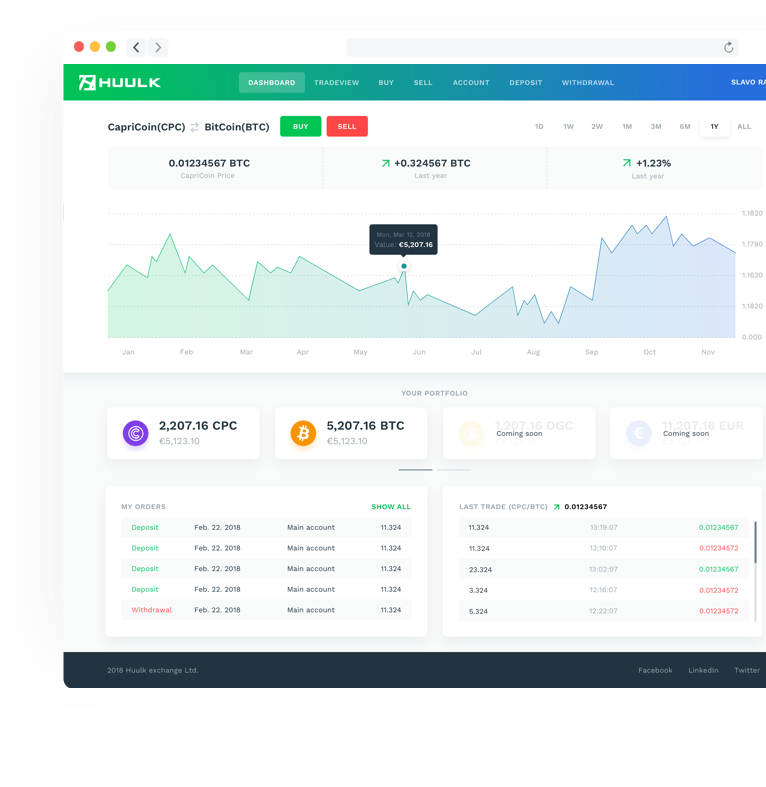 The Huulk exchange will allow its users to trade quickly and securely among our offered trading pairs. Buy gold or Apple’s shares with Bitcoins. Get the best yields. Diversify your investments – Huulk merges European first-rate stock and Middle-East commodity exchanges on a crypto platform. Huulk follows up-to-date security standards including a safe cold storage service and anti-DDoS protection tools. Huulk is an intuitive, fast, and secure one-stop solution for trading digital assets, stock and commodities. Together with strong global stock and commodity exchange partners we have created an innovative monster for the most secure and various trading options. Broadly available, user-friendly, and intuitive exchange covering key cryptocurrency, stock and commodity investing opportunities. 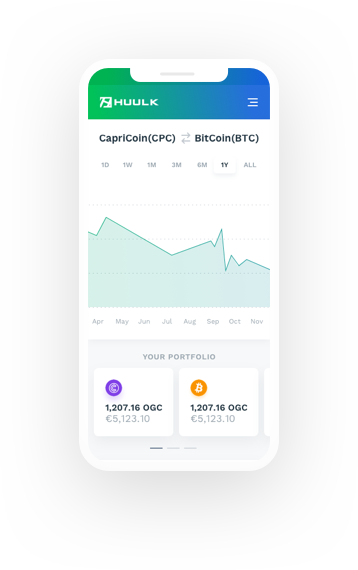 Very scalable and innovative exchange available to many digital token, stock and commodity investors using sophisticated trading tools and useful charts. Advanced matching engine for both experienced traders and beginners with many listed digital tokens and trading pairs. Anti-DDoS protection from a leading industry provider plus many other security protection tools. Available transparent ordering books.